If you're looking for an eco-conscious and immersive retreat focussed on self-exploration and mindful transformation, than this is for you. Experience the insight that occurs when you step off the grid, harmonise with the rhythms of nature, and focus on you. You'll spend a week immersed in yoga and meditation, mindfulness workshops, and natural living on an untouched island paradise. 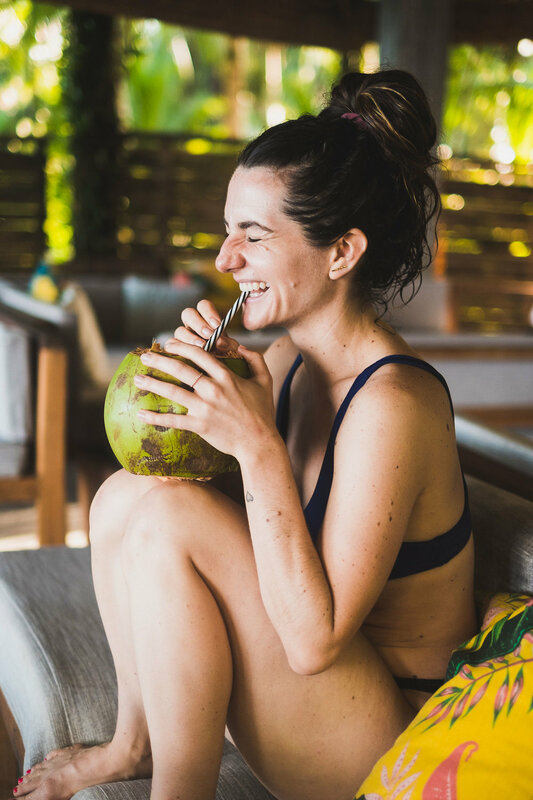 Wake up in a tropical paradise to daily yoga practices, meditation, mindfulness-based workshops, and holistic meals. The focus of our program is to provide the environment, guidance, and tools to empower you to thrive in your life - both on and off the mat. We will lead purposefully themed and sequenced morning yoga practices with breathing techniques and meditation. Mindful Living workshops will help you connect more deeply with yourself and offer you tools to take your yoga practice off the mat and into your life. There will plenty of time to explore the natural beauty of our surroundings alongside inspiring conversations, infinity pool lounging and island adventures. accommodation in the hill tops of Rote island. and return back to your roots." To facilitate your experience, we've chosen eco-conscious paradise to allow you to effortlessly harmonise with the rhythms of nature. Utopia Rote is a luxurious eco-conscious resort surrounded by nature and breathtaking views. 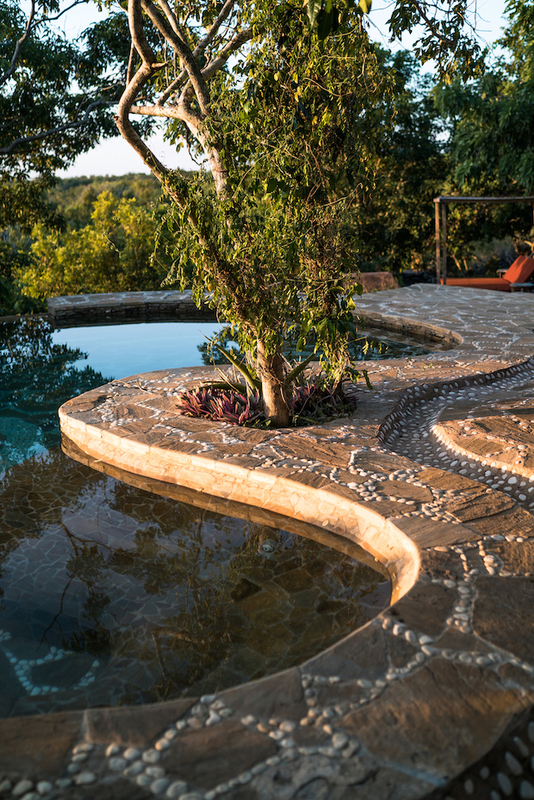 Utopia operates fully off the grid in harmony with the environment and local community while always striving towards more sustainability and self-sufficiency. Rote island has an identity of its own with endless exploration and discoveries to be done from ocean to land. Rote is an Indonesian Island with natural beauty, powdery white-sand beaches and incredible surf. The island's remote location sets it apart from the average tourist destination. On this off the beaten track island, you can find simplicity and natural beauty everywhere including traditional villages and some of Indonesia's most untouched beaches. We know you'll fall in love with Rote Island's relaxed, endless summer feel. Our nutritious food is made from scratch using fresh ingredients t0 create a variety of healthy dishes. Our daily meals revolve around the community table, bringing everyone together to share, connect and savour the experience. Erin’s enthusiasm for life is ignited when surrounded by nature, connecting with inspiring people, and growing through exploration. As a Mind and Body Leadership Coach, she loves helping people strengthen their connection with self and develop transformative practices that empower the way they live and lead. She has completed a Masters in Psychology of Coaching at the University of Sydney and Bachelors of Science in Health and Exercise at the University of Victoria alongside various mindfulness-based coaching and yoga teacher trainings. 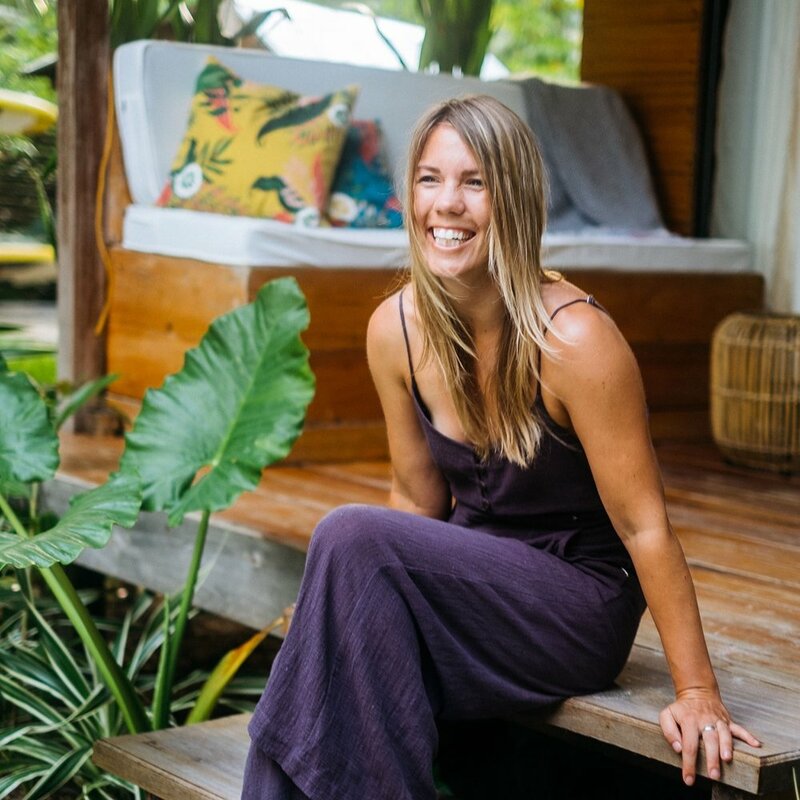 Currently living in Byron Bay, she has worked on award-winning coaching programs and wellbeing retreats as a facilitator in USA, Canada, Australia, Asia, and Central America. Christie has been teaching yoga and leading retreats in Canada and abroad since 2008. She loves supporting participants to feel refreshed and in harmony with their bodies while immersing themselves in yoga, self-care rituals, and mindfulness practices. She completed a degree in dance at Ryerson University and has a trained with Schulyer Grant from Kula Yoga, studied ayurveda with Shiva Rae, and yoga therapy with Jill Miller. She has presented at Wanderlust Festivals and Tokyo's Dream Canvas Festival. She has taught elite athletes including the BMC Racing Team, BCBR professional mountain bikers, Vancouver Canucks NHL team, White Caps MLS team, and varsity athletes. She is recognized as a legacy ambassador with lululemon athletica and regularly teaches at their community and international events. She continues to be inspired by self-exploration, chasing the sand and sun, and sharing what nurtures her soul. All suites are designed to make you feel part of the surrounding nature including simple, earthy Indigenous architecture with tasteful touches to make you feel at home in the wild. Enjoy traditional thatched roofs, open air bathrooms with solar heated showers and dry compost toilets. Each unit has its own balcony with forest and ocean views facing Rote’s vibrant sunsets. Newly Built Bungalows are now available. 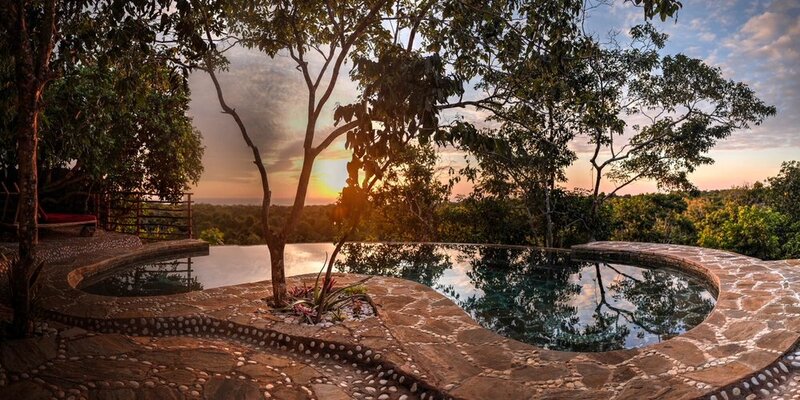 Located on the highest point of our retreat centre, it has more than 180 degrees ocean view overlooking the lush forest valley. Choose from 1 of 2 open air rooms and share outdoor bathroom with unforgettable panoramic views. The Palm Suite originates from a local building style called “ding ding” using the stems of the coconut and Lontar palms for construction of walls, doors, and windows. The outdoor bathroom is stunning with the shower a spiralling unit of its own. Choose from 1 of 2 beds. Receive a 100 AUD Discount when you book with a friend. This is a boutique style retreat so spaces are limited. Register sooner than later to secure your accommodation preference. A non-refundable deposit of 500 AUD is required at the time of registration. You can enjoy your layover hours at the hotel La Hasienda just 3 minutes away from the airport with swimming pool and roof top restaurant. Write us at erin(at)erintetarenko.com or call Breathe in Life Travel at 1-888-623-3513 if you have any questions about the retreat or for more information on how to register.